Fields with an asterisk (*) are required. Please read everything very carefully. If you have questions before you get started, fill out the contact form here. If your business address is the same as your home address, it will NOT appear on your website. 5x7” at 300 dpi (1500 x 2100 pixels) If you have staff members and want their photos to appear on the site, share the photos (and staff bios in a document) uploaded to Google Drive or Dropbox. Need help? Click here to find out how to take a great headshot. Opens in new window so you don't lose your form. Need help? Click here to find out how to write a compelling bio. Opens in new window so you don't lose your form. Your Facebook author page's URL looks like the placeholder URL above. Type over it. Your Twitter page's URL looks like the placeholder URL above. Type over it. Your Pinterest page's URL looks like the placeholder URL above. Type over it. Your Instagram page's URL looks like the placeholder URL above. Type over it. Your YouTube page's URL looks like the placeholder URL above. Type over it. If you have a blog that's hosted elsewhere and you want to keep it there, enter the URL below. Enter your blog's title and description here. Would you like to add a "subscribe to my newsletter" button to your site? If you'd like email address(es) associated with your domain (i.e., [email protected]), check the appropriate box(es) below. Depending on the number of email addresses your hosting account provides, we'll pare down the list if need be. Enter up to 5, one per line.  The BrainStormes Creative site is an example of a "one-page" design--with multiple sections but with subpages. Go to http://AmandaDeich.com to see an example of the "multi-page" design. Do you have a color scheme in mind? If so, enter the hexidecimal color codes below. For hexidecimal color codes, visit https://www.w3schools.com/colors/colors_picker.asp. Websites with high-res images tend to convert better than plain-text sites. For high-quality, free images (that don't violate copyright law and are completely royalty-free), we recommend you visit https://unsplash.com. Pick out at least 10 images that suit your ideal website's tone, atmosphere, and/or desired color scheme. Choose about 2/3 landscape (horizontal) and 1/3 portrait (vertical). You can either download the images yourself and upload them to Dropbox or Google Drive and share the link with us, or you can copy each image's URL link (here's a video of how to do that: https://youtu.be/I46E0RY8ErY) and list the links in the box below "Images for your site." If we're doing a redesign and you have existing images you'd like to use, please list their URLs below. TERMS: By submitting this form, you agree to the following terms: 1. Half the full amount of the agreed-upon service will be paid before work begins on your project. 2. The balance is due upon completion of the service. 3. You will not have access to the project until the balance is paid in full. 4. One round of website design "tweaks" is included in the full price. 5. Any additional changes will incur charges of $75 per hour. This is a long form, so it will take a while to upload. Don't hit the back button on your browser or navigate away from the page until it finishes uploading and you get the success message.